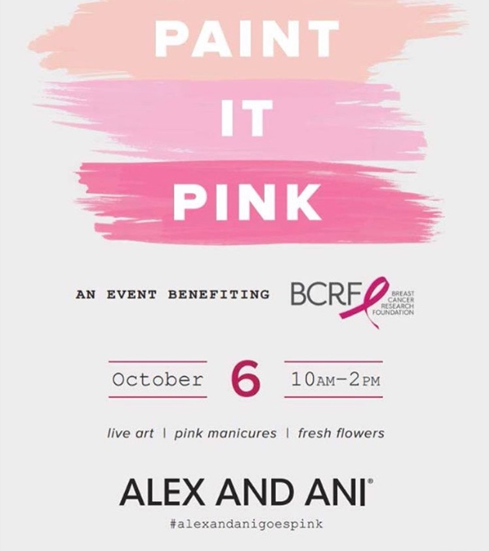 We’re Painting it Pink for Breast Cancer Awareness Month today 10-2pm in Alex & Ani Jewelry Stores in Santa Anita and Irvine. Founded in 1985 in October, BCAM was brought to life as a partnership between the American Cancer Society and the pharmaceutical division of Imperial Chemical Industries. Alex and Ani are creators of meaningful jewelry. Together they share ancient wisdom and interpret it into modern design, just as we share ancient wisdom into modern day self care. Their company mission and Serve The Goddess are definitely a fabulous fit and we were proud to be a part of their #PaintItPink day. 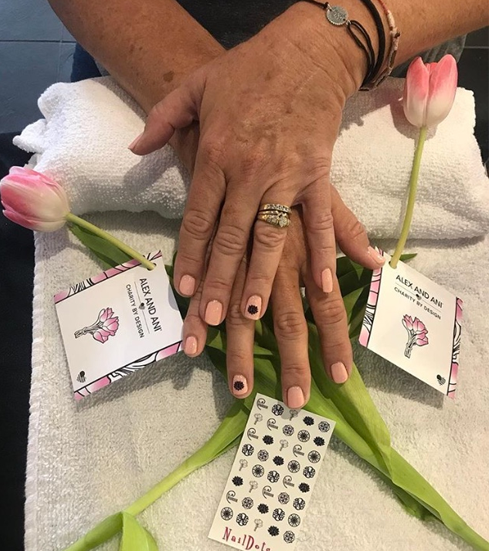 Each person received a manicure and a pink rose and chose a pink polish nail color or a decal like the person below. We love celebrating women and being a part of their self-care and “feel-good doings and happenings”. 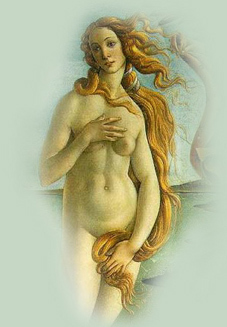 What better way to honor one of the most nurturing parts of our bodies by bringing awareness to proper care and attention to our breasts. 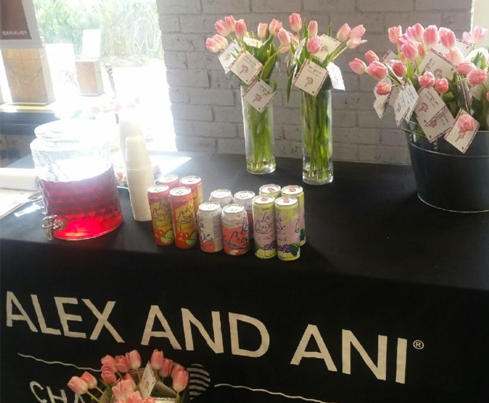 We thoroughly enjoyed #PaintItPink Day at Alex & Ani and look forward to many more days of celebrating women in all the ways that serve us best. #AlexAndAniGoesPink and Serve The Goddess went pink with them.